We provide audio and lighting services for national and world tours headlined by some of the biggest names in the music business. From nightclubs to outdoor arenas and stadiums, there isn’t a type of venue we don't have experience with—or a road we haven’t traveled. We combine the latest technology with skilled engineers to create the ultimate shows for customers. Check out our partnership with d&b audiotechnik. We went on location with Kenny Chesney at Gillete Stadium in Foxborough, Massachusetts. See how the we put the d&b SL-Series to the test at this sixty five thousand capacity stadium show. We are heavily involved in the advance work and pre-visualization process. With long-standing clients, we make sure to make each tour different and unique year after year. From Nashville to Germany and everywhere our passports take us, we travel the world to find the best and newest equipment, including d&b audiotechnik and Clay Paky systems. We’re fun people who take our jobs seriously. In our business, logistics are crucial and etiquette on the road is a must. Our crews are always professional and punctual. We love what we do and the people we work with. 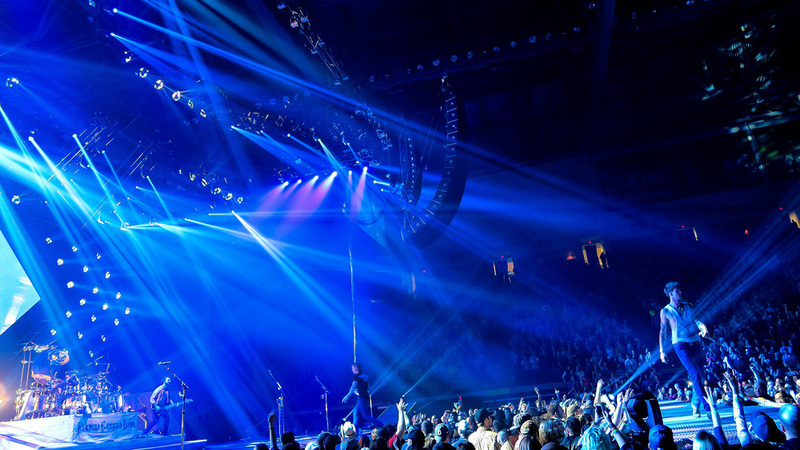 Read more about a client who we consider part of the Morris family after more than two decades working on his tours—Kenny Chesney. And check out our latest touring news. Setting the scene for a nine time entertainer of the year. The best part of our job is seeing our hard work come to life. Getting to share that experience makes it even better. Check out photos from tours we've been lucky to be part of over the years.